Steve took to the stage once again as the high energy front man for ICED DOWN. Steve’s powerhouse vocals and phenomenal stage presence kept Iced Down one of the most sought after acts in Orlando for six years. Iced Down headlined Bike Week and Biketoberfest as well as opening for many national acts including, Cheap Trick, Eddie Money, CCR, Pat Travers, Warrant, Vince Neil, Spin Doctors and Huey Lewis. 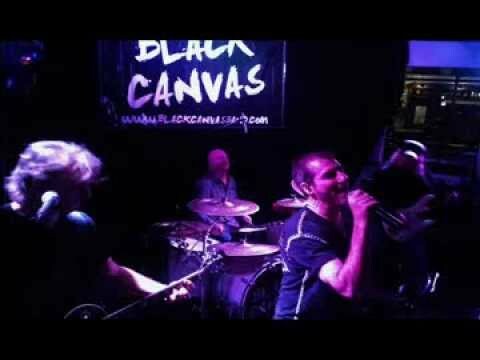 Steve the lead singer of BLACK CANVAS, is joined by former band mates, Tony Visconti & Jeff Bonenfant of Barrage & Kenny Smith from the days of Wanted , this group is poised to entertain the masses once again with their own particular style and sound.